The Three Palace Royal Pass Ticket includes tickets for The Tower of London, Kensington Palace and Hampton Court Palace. Valid for one visit at each of the three palaces, you’ll have two years to redeem your discounted tickets to over 900 years of history. The Tower of London is steeped in a rich history that is unmatched anywhere else in the capital. 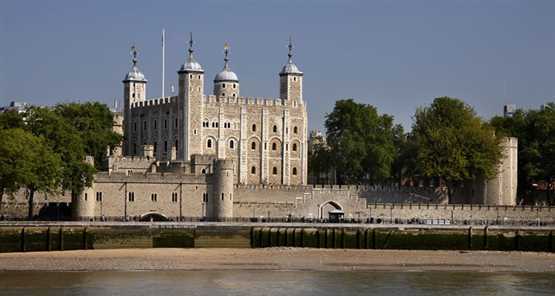 Home to the Crown Jewels, the Tower is itself one of London’s most well regarded treasures. Visitors are treated to a fascinating history as they walk in the footsteps of Kings, Queens, heroes and villains from William the Conqueror to the spies of the Great War. Hampton Court Palace, as the former home of Henry VIII, boasts an array of fine art, fascinating exhibits and stunning grounds and gardens. Lose yourself in a variety of special exhibitions, a fearsome history and of course the world’s most famous maze! Kensington Palace tickets provide a touch of class to right royal day out, as the current residence of the Duke and Duchess of Cambridge and birthplace of Queen Victoria. Get your Three Palace Royal Pass Offers today and save 22%! Exchange your voucher at the Tower of London to obtain the pass. Your pass will have an expiry date 2 years from the date of issue so choose when and where to visit within that 2 year window. One visit per valid palace during that time. By tube – From the M25 take either exit 10 and A307 or exit 12 and A308. From central London take the A3 to the Hook underpass and then the A309. Parking is available. By train – 30 minutes direct from London Waterloo to Hampton Court station. By bus – From Kingston: 111, 216, 411, 416, 451, 461, 513. From Richmond: R68 (takes approx 30 mins). By tube – Tower Hill station: District and Circle lines. London Bridge station: Jubilee and Northern lines. Bank station: Northern, Central and Waterloo & City lines. By train – Fenchurch street or London Bridge station. By DLR – Docklands Light Railway (DLR): Tower Gateway station and Bank station. By bus – Routes 15, 42, 78, 100, RV1. Located in – Kensington Gardens, on the edge of Hyde Park, just off Kensington High Street. By tube – Notting Hill station: Central line. High Street Kensington station: District/Circle lines. Gloucester Road station: District/Circle and Piccadilly lines. By bus – Routes 9, 10, 27, 28, 49, 52, 70, 328, C1. The pass worked great for us . We could go to any palace on our schedule and spend as much time as we liked. It was easy to pick up ar the Tower Of London. Great value . Thank you ! Great deal! Book online just the night prior to our flight. Everything was as promised. Havent had the chance to travel to Hampton Court yet but keeping the tickets for our return to London. Definitely recommend booking with this site! Great value for money, provided you actually want to see everything on offer and can plan ahead. We did and had a great time and made a saving against regular prices. The passes are undated and are valid for 2 years from the date of issue. Each pass holder gets one visit per valid palace during that period.